This 65,000 sq. 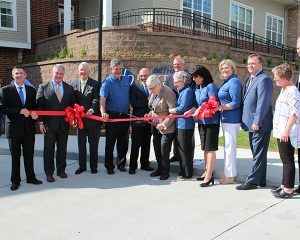 ft. two-story addition to the Bethesda Hawthorne assisted living campus includes a 60-bed Assisted Living and Memory Support Community. 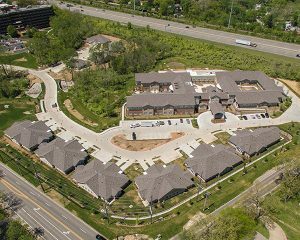 The building includes one and bedroom units, restaurant-style dining, a spa and wellness area, salon, chapel, and library. 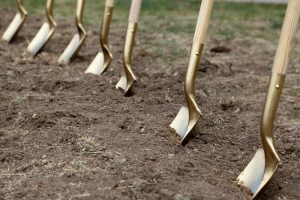 In addition, 18 new villa homes and a clubhouse have been added as part of The Oaks at Bethesda. 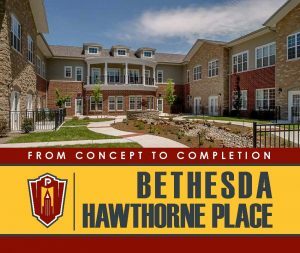 See the complete construction process from start to finish and everything in-between for Bethesda Hawthorne Place.